Tae and I had fun in the kitchen this morning. We made popsicles out of our left over smoothie, then we made a kid version of CHOCOBANANOS. We used carob powder instead of cacao powder. While we love a good cacao powder, carob does not contain any kind of stimulant such as caffeine or theobromine, so everyone can eat them at any time of day. Carob powder contains antioxidants and minerals such as calcium and selenium. It is naturally sweet, so there is no need to add any other sugar. Peel and slice bananas into 3 or 4 pieces. Put popsicle sticks through the bottom of bananas. Freeze bananas on a plate about 30 minutes. Melt coconut oil in a double boiler. We simply fill a small pot with about an inch of water, then place a pyrex baking bowl on top. Stir in carob and salt. Once melted, take bananas out and dip them in. Sprinkle with your choice of toppings. You can pour the extra carob mix into silicon moulds to make mini kid "chocolates". Keep frozen until ready to serve. Amazing how quick my appetite changed back after baby was born! I went from pickles and tahini (not quite as rad as peanut butter) to sweets. Lucky I have a blender and lots of naturally sweet ingredients to play with…full of anti-oxidants, protein, oils and fiber. Lots of fiber is good for anyone anytime, especially postpartum! My solution: just add pumpkin. If possible, get a big fresh pumpkin (same kind used to for jack-o-lanterns, ideally unsprayed), cut into small pieces or blend, then freeze for future use. Inspired by the Dairy-Free Pumpkin Latte recipe from the Blender Girl, this has been my afternoon energy boost. I added a few more nutrient dense ingredients and essential oils, and I replaced the espresso shot with chicory root powder (to stay as caffeine low as possible). Triple up with a raspberry leaf tea, and one of Aiko’s gluten free cookies (she halves the sugar in the recipe) from Lynx Cafe or an always creative nutritious and delicious treat from Heather Baker at Stay Wild, and enjoy! Photo from Polek Rybczynski's Photo Journal "The Sea to Sky". While I generally have an optimistic view on the future of the Earth, days like today certainly trigger a feeling of depression. I am reminded of three days I spent in Delhi India, one of the scariest three days of my life. I did not experience anything acutely violent or traumatic, more the consequence of years of subtle violence. All it took was terrible air quality with no where to escape, and I felt as though my freedom and basic human rights were taken away from me. People living there today spend their lives in this situation. Here in BC, we get a few days of bad air quality and I observe that fear return within me ... Is this part of the planet now experiencing a taste of the consequences of the not so kind choices we have made? And then I shift my thoughts from fear to trust ... what choices am I making NOW? I think of my vegan friend, Kate Flower's, T-Shirt design: "You CAN change the world", and I come back to what choices feel right to me. One thing I do choose to do is eat a primarily plant based diet, as one thing I feel would make a big difference is seriously reducing the amount of meat consumption in this world. Since freedom is the theme of this post, I am not saying everyone should not be allowed to eat meat. I am saying, what if you seriously consider the impact of SO MUCH meat ... on your health, the environment and on the freedom OTHER BEINGS, and my goal here is to encourage MORE freedom of choice by inspiring you to learn more about all the incredible plant based-food choices there are. I am so thankful for more and more people feeling a similar way. Apparently, Health Canada is in the process of updating Canada's Food Guide to encourage more plant-based choices and reduced meat consumption! Nope, we all have the choice to do the most impactful thing we can. Eat plants instead of animals. I am feeling super inspired after 4 days of learning with Jerome Weinberg. Jerome is an internationally recognized Pilates instructor from New York, who worked side by side with Romana Kryzanowska. According to Jerome, Joe Pilates based his exercise system on a mind-body-spirit philosophy developed by ancient Greek sages. gives one the energy to achieve one’s dreams. Through Pilates, the body is strengthened and stretched, oxygenating all the tissues, and it feels good! The practice of mindfulness during the workout develops a focused mind. With a healthy body and clear mind, one feels happy, and naturally a spiritual sense of peace arises. When this mind-body-spirit trio is balanced, one is empowered to pursue their passions and fulfill their purpose in life. Sign-up for a 5 x Intro pack at Angela Simpson Physiotherapy in Pemberton or at Whistler Pilates. More great news, I am pregnant! The first trimester was definitely a challenge, due to hormone changes, extreme fatigue and nausea. I can attest to the Pilates mind-body-spirit philosophy. The physical pain I was experiencing greatly affected my mind and spiritual connection. As hard as challenging times are, they can always be seen as learning in some form or another. One positive spark that arose from my challenges is something so simple, yet powerful: shifting to gratitude. My three year old son, Tae, and I have a new bedtime routine. When I put him to bed, I share what I am thankful for from that day. Not only is the personal shift to gratitude so healing, but the joy that arises from sharing this with Tae becomes exponential :) Tae loves it; he loves to hear what I have to say, then he shares his thankyous. What comes out of his mouth always blows my mind how creative, insightful and wise he is! My community was fairly limited to close family and work, as the rest of the time, I needed to rest! I am thankful for my husband who took on more work around the home and held space energetically for both our son and myself when we moved through our ups and downs. I am thankful for my clients, students and teachers. They may not have been aware I was pregnant, but the pureness of present moment connection, observing and facilitating movement via yoga and Pilates, really helped keep my brain positive. When the nausea started to hit, I stopped my regular meditation practice. Any "me" time I had, I went to sleep. It was amazing how quickly my mind became victim to drama and negative self talk. The practice of meditation doesn’t necessarily make you sit there and feel bliss, but it calms you into acceptance of what is, be it pain or pleasure. From a place of acceptance, somehow bliss naturally arises. I had to learn to accept the pain I was going through. I also learned to be gentle with myself. The thought of having to sit with a vertical spine to meditate for x number of minutes, stopped me from meditating all together. Recently I have reintegrated meditation back into my day, but from lying down or sitting for a short period of time. It may not be the recommended 60 minutes, but even if it's only a few minutes of practicing equanimous observation, it still has a huge effect on the state of my mind. Rest and sleep. Try diffusing some Lavender and Restful Blend. Headaches from neck tension. Try rolling Peppermint oil (diluted with refracted coconut oil) on sore neck and jaw. Headaches from eye strain. Try a drop of Lavender oil on an eye pillow. Hemorrhoids. Try placing Cypress, Lavender and Frankincense oil diluted with refracted coconut oil on affected area. Indigestion. 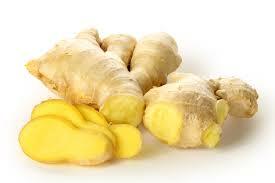 Try Digestive Blend (preferably in the form of gel tablets as the taste is a little intense) after eating. I am so thankful for these oils during pregnancy, especially because my sense of smell is so heightened. I look forward to exploring their uses during labour and postpartum! Now I am into my second trimester. I am feeling better, back doing gentle Pilates, meditating and eating healthy... including organic chocolate! So excited, unpacking my new pilates equipment with assistant Tae. Pilates Designs by Basil did a beautiful job! And thank you my husband, Polek, for your infinite support, patience and precise set-up skills. The apparatus is radiating a frequency of joy at Angela Simpson Physiotherapy. My answer to everything: Meditation. Inspired by Holistic Life Foundation, my husband, Polek, taught my son, Tae, how to take a “mindful moment”. When Tae gets excited, scattered and looses his focus, all those intense two year old moments, Polek has him sit cross legged, hands on his knees and eyes closed. He asks Tae to observe the pictures in his mind and observe how his body feels. Polek then counts to 12. After they talk about Tae’s experience. It is amazing to watch Tae calm down, reconnect with his body and recognize that he is in charge of his actions. He can choose his experience within the framework of his body. Now here is the key to success: The facilitator needs to be aware of his/her own energetic dynamics, so he/she can hold a calm focused space. Polek has practiced meditation for years, and here I observe “take care of yourself first, then save the world” in action. As I repeat this in my head, I question myself. Really the answer the EVERYTHING? No, how is this possible? Then I sit, and I am reassured. Yes, meditation, my answer to everything. It’s so simple, yet when I try to intellectualize meditation, it becomes so elusive. Sit in a comfortable position with a tall vertical spine. Close your eyes and bring awareness to the tips of your nostrils. Focus on the flow of air as it moves in and out of the nose. That’s it! Just observe. Observe your natural raw breath. Don’t try to change your breath. If it is shallow, it is shallow. If it is deep, it is deep. If you breathe more through the right nostril, you breathe more through the right nostril. If you breathe more through the left nostril, you breathe more through the left nostril. As you observe in stillness, you may find that everything is actually dynamic, changing, moving. I am thrilled to have completed my apprenticeship at Whistler Pilates. It has been almost two years of dedication and determination. Apart from being a mother, I made Pilates my one thing. The learning has been deeply amazing. I dove head first into the vast wisdom of the Pilates System, and I look forward to learning so much more. Thank you to my main teacher, Louise Tomcheck, for your feedback, trust, integrity, patience, economy of speech and knowledge of the Pilates System. And special thank you to Suny, Karen, Ken, Tani, Lindsay, Jacqueline, Noam, Marie-Anne, Mariola, Angela, Polek and importantly all the incredible clients I have worked with and learned from so far. The future is bright … you gotta wear shades. Apparently brushing fresh strawberry puree onto your teeth helps whiten them without disrupting your healthy mouth bacteria. So I tried it, and it was probably the most enjoyable teeth brushing experience of my life! Come learn more interesting things to do with your health at my workshop on Cleansing for Success. Everyday new studies come out. I read about the new best diet and the new best super food, then I hear that that diet is full of oxalates and that super food is prone to heavy metal contamination. Meat eaters claim a vegetarian diet has too many phytates, and vegetarians blame the state of the environment on the meat industry. In our body, our cells are outnumbered by bacteria 10-1. Yikes! And what really is a phytate anyway? Some days I get so stressed about food, I wish I just didn’t have to eat! Cleanse Supporting Latte from Whistler Tea House. But then comes all the joy surrounding food. How many times have you looked forward to a family meal or a dinner date? How many times do you click on a link with beautiful food photos? Do you enjoy playing in the kitchen, following recipes or inventing your own? And of course, how good does it feel to eat something nourishing and savour the taste? So how can you have your cake and eat it too? In yoga, there is something called the Lila, or “the dance of forms”. The dance of forms includes all of our experiences of life. One way I like to visualize it is that the Lila is a hurricane, and at the centre of the hurricane is the eye. In the eye, it is peaceful: a pillar of peace. Can you visualize a mini version of yourself, perfectly present and totally healthy, sitting in this pillar of peace? Sometimes you might catch yourself twirling around in the hurricane. Can you bring yourself back to the pillar of peace? This meditation technique helps to disentangle ourselves from our experiences, so we can step out and see that there is always a place of peace for us to return to. It also teaches us that we have a choice in what experiences we wish to participate in, and recognize which choices may be better or worse for ourselves. When it comes to your interactions with food, can you exist in both the pillar and the lila simultaneously? Can you observe from a place of peace the effects that foods have on your body and brain? When you eat something, how does your body react? What about your thoughts? Let your interactions with food be like a science experiment. Test something out, see what happens, then make a choice from there. Now, I am not not implying to ignore all “information” you hear and read. This information is useful if received from a place of peace. In fact interactions with information can also be seen as a science experiment! When you read something, how does your body feel? What meaning do you place on the information. And what do you choose to do with that information? Come learn more information about nutrition with me in my workshop on Successful Cleansing, and I promise, I will balance the information out with experiential opportunities. With your registration, you will receive samples from Bulletproof for you to take home and experiment with, chances to win from Whistler Tea House and tasty treats from Living Light Coconut Tree! Set yourself up for successful cleansing. All participants will receive a goodie bag from Bulletproof and treats from Living Light Coconut Tree! Upshift your yoga practice with a cleanse tailored to you! Topics of interest include meditation practice, 1 Thing goal setting, inflammation, parasites, heavy metals, nutrient bioavailability, natural dental care, tasty recipes and happy habits. Feeling so happy and grateful after my cleanse, I am excited to share an empowering approach to cleansing. Spring Into Action with Pilates Mat Classes! Return to Life with Pilates! Space is limited to 5 participants, so please contact me to register. Pre-pay, no cancellations. Make-up classes possible availability dependent within the 5 week session. Registration starts March 20. For more into, see recreation guide here. My Thursday 9am class is going strong and continues as a drop-in class. New students are always welcome! Wednesdays 9:20-10:20 am starting March 23. 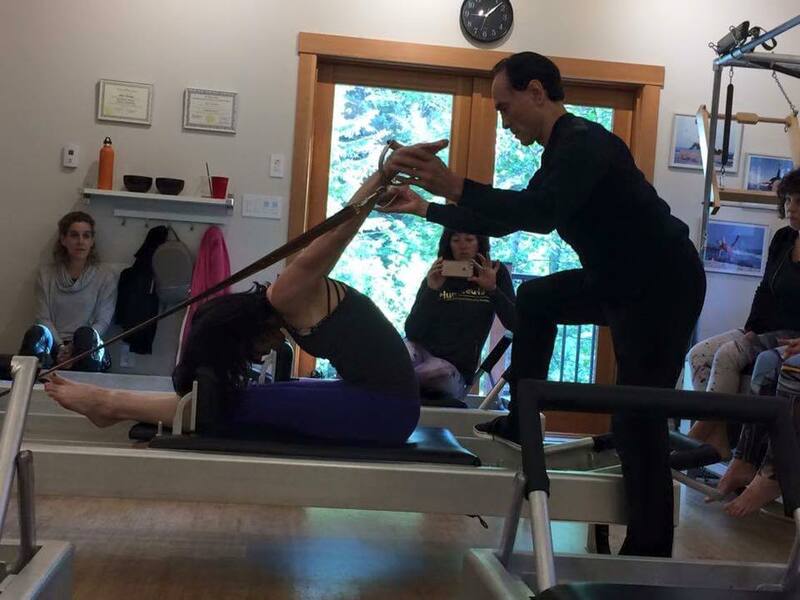 If you are interested in Private sessions at Pemberton Pilates or Whistler Pilates, please contact me directly. I usually share my latest and greatest chocolate recipes this time of year, but since I am on a cacao free cleanse right now, lets talk about other things. Like, share your answer to the questions below, and you will be entered to win a comlimentary class at Yama Yoga or Meadow Park. Draw is on Sunday Funday! What is your favourite part of a Yoga and/or Pilates class? How come? So cool how accessible yoga is these days... such a great opportunity for people to become more aware of what they are aligning with. My son, Tae, surprised me and wanted to ride the trail to other other end of the lake. One more spontaneous situation where I said to myself thank goodness for Pilates! I pushed / carried him all the way back, no problem. If I hadn't restrengthened my body post-baby, we would have been hitch hiking for a stroller ride home. It's your turn: Bring your body back into balance this January! Whistler Pilates if offering great packages for Christmas, then prices go up in 2016. Contact me here for details. This majestic video captures the world's fastest land animal: the cheetah. Watch how her spine articulates with such ease. She must practice Pilates! Our little Tae and the ocean waves! Tae's surfing journey in Costa Rica. His first time standing up on a surfboard and feeling the glide at age 1 ½. Pure joy and excitement. ... Physical Culture is a movement supporting fitness and athletic excellence through mental discipline and living a body conscious lifestyle. The Pilates Method is a conscious design that supports maintenance practices for optimum physical health and natural living." This an expert from my friend, Suny's newly released website. Here you will find a beautiful description of the Pilates Method and more. Swirl cacao mixture into cake. Set about an hour in the freezer, and serve in love! "Physical fitness is the first requisite of happiness" Joseph Pilates. New Pilates Mat classes start this week with me at Yama Yoga on Thursdays 12:00-12:50 pm and at Whistler Pilates on Fridays 10:30-11:20 am. Come out and play! That is my Grandpa. He is 90 years old, and he is facilitating Quigong in his backyard. When he started Quigong 6 years ago he could barely touch his knees. With a simple daily practice, now he can touch the ground! He shared with the class, "I was 84 when I started, so it is never too late to try." Inspired by my Grandpa, I look forward to facilitating Seniors Yoga at Pemberton Community Centre. Mondays 10:30-11:30 am. Classes start Sep 12, so come out and try; it is never too late!